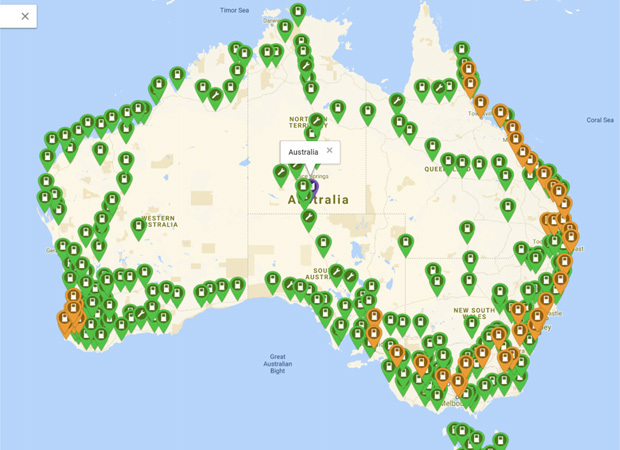 EV charging station map allows round Australia electric car trips. It’s now possible to drive around Australia in an electric car, thanks to a comprehensive EV charging station map. The Tesla Owners Club of Australia (TOCA) released its Round Australia Electric Highway map this month. It shows the location of charging stations around Australia with a maximum 400 km spacing. The Red Centre route is 100 per cent driveable, with slow charging still at two points, and full completion expected by the end of 2018. The 32 amp 3 phase network is the map’s main focus. Close to 17,000km of route is surveyed, mapped, charging access discussed with every site, and outlets provided where not existing. Over 10,000km of outback interstate routes use the Australian 32 amp 3 phase outlet, including the Nullarbor, Stuart Highway and Top End where there are very few other charger types. However, the map is not complete. There are still gaps in fast-charging stations and places where three phase is not available. 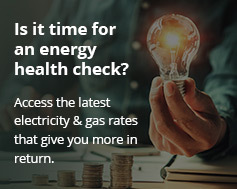 As a result, TOCA and the Australian Electric Vehicle Association (AEVA) are offering help to property owners. TOCA and AEVA will give a 32 amp 3 phase electrical outlet free to any site which will help build the Round Australia and Red Centre routes to distance intervals of 300 km max. TOCA and AEVA will list these sites on plugshare.com. Earlier this year, Queensland completed phase one of its own electric highway. Eighteen towns make up phase one of the Electric Super Highway, each equipped with fast charging stations. Ultimately it will also allow people to drive from the state’s southern border to the far north in electric vehicles. Meanwhile home owners are waking up to the possibility of charging stations based on their solar panel system. Using a Tesla Powerwall 2 home battery, it’s possible to charge an electric vehicle overnight using energy stored during the day.